The design of this card was created as a joke strictly for science geeks, but its pop-art aesthetic is popular with everyone. 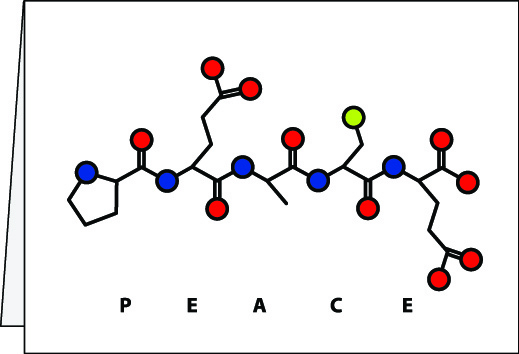 The peptide (small protein) in the design spells the work "peace" using the amino acid alphabet. The outside face of this card shows an electron micrograph of a gene being heavily transcribed into RNA, an early and fundamental step of gene expression. 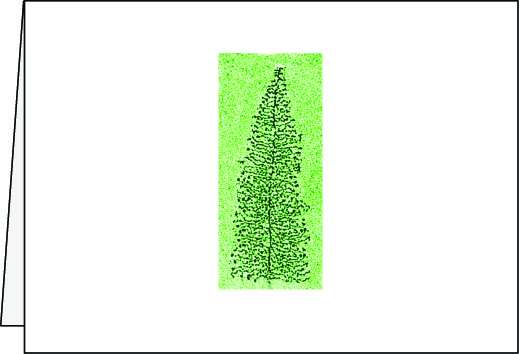 Because of the shape, this is often referred to as a "Christmas Tree." The green tint on the micrograph enhances this association. 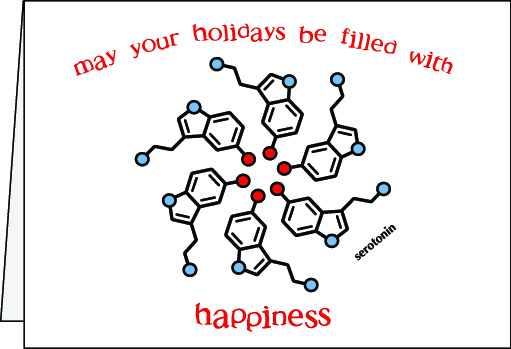 Wishing someone serotonin is wishing them happiness. 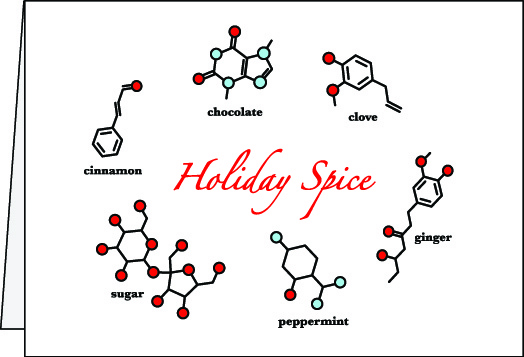 On this card, serotonin is arranged in a design reminiscent of a holiday wreath or poinsettia flower. The message: May your holidays be filled with happiness.